For 25 years and counting, hundreds of compassionate volunteers have come to Matt Talbot’s community kitchen to provide, prepare and serve hot nutritious meals to the working poor and homeless. These volunteers, some who have been around for all 25 years, are tireless in their efforts to provide nourishment for the body and spirit. 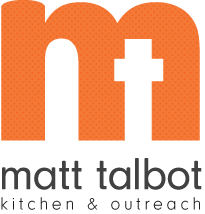 Today, volunteers remain the heart and soul of Matt Talbot with over 900 volunteers helping each month with hunger relief and outreach activities. In 2017 volunteers provided 33,794 hours of service and $224,442 worth of in-kind food donations. To celebrate these special volunteers, Matt Talbot hosted a volunteer appreciation luncheon on Thursday, April 19th at the Graduate Hotel. More than 150 volunteers attended. The keynote speaker was Randy Hawthorne, Executive Director and Publisher for the Nonprofit Hub and Executive Director of VolunteerLinc. The Graduate Hotel and Scheels sponsored the event.